Greetings, dear readers! It’s been awhile. I’ve missed you. I’ve gathered you here to celebrate the anniversary of Dice Hate Me. Exactly seven years ago today, I posted my first game review on dicehateme.com – and since then what a long, strange trip it’s been. 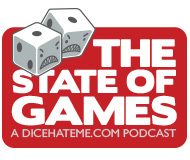 Over the past three years, this site has been mostly a repository and rally point for The State of Games podcast. The podcast has evolved over the past few years and I still enjoy gathering to talk and laugh about boardgames, but I miss sharing my passion for games and the hobby through written journalism. So, from this point forward, consider the old Dice Hate Me back in business. For those who’ve followed along on this journey for any length of the past seven years, I can’t thank you enough for the support and camaraderie. And for those of you who may be visiting here for the first time, welcome. I hope you’ll stick around so we can be friends. 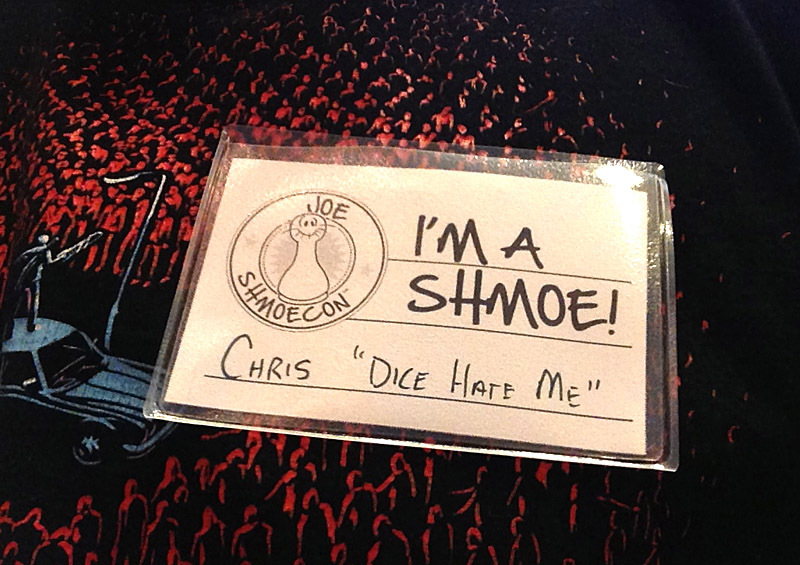 And, so, before we move forward I thought it would be fun to curate a few of the seminal moments in Dice Hate Me history – some of my favorite reviews and interviews, the birth of some traditions, and all the fun we’ve had with boardgames over these last few years. Enjoy! There were gnomes. And a submarine. Exactly why I chose Red November as my first game review for the site is simple: We had been playing it for about a week straight over lunch at my work. It was surprisingly succinct, something that didn’t really continue in future reviews what with my propensity for verbosity. But the usual Dice Hate Me style and format was there, including the three-dice ratings system. One feature that started out with Red November but never continued beyond a couple of posts was a Durham local’s guide with where best to enjoy the game in public. The plan for the blog was originally to be about awesome things to do around Durham, North Carolina. I instead decided to turn it into a game evangelism site. Looking back on the past seven years, that’s the best decision I could have ever made. A couple of months into writing for Dice Hate Me, I started to hear rumblings about a little something called Kickstarter. 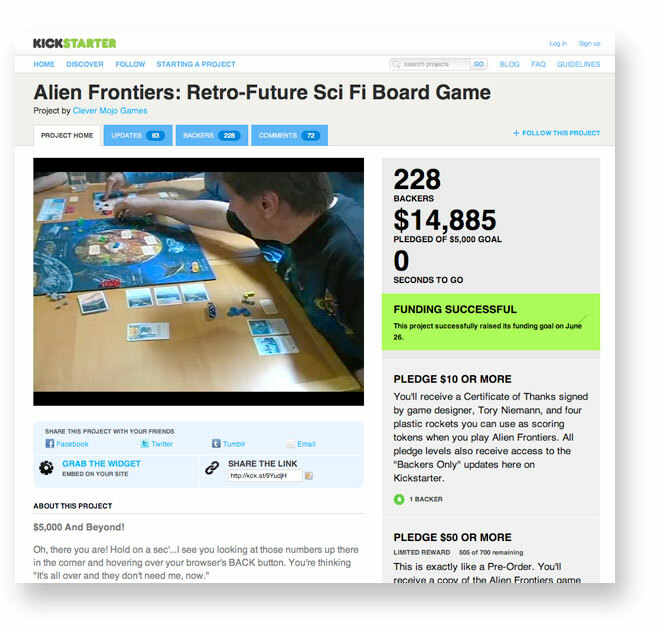 The crowdfunding site had only been operating for about a year at the time, and a fine fellow named David MacKenzie had recently proven that it could be a viable platform for making board games happen when he raised over $14,000 for Alien Frontiers. I sent David an introductory email and my long relationship with Kickstarter – and friendship with David – had begun. One of the great things about writing on your own terms is picking your subjects, and with Dice Hate Me I often just get to do something purely for fun. If you’re trying to build an audience, doing a review of Monopoly Deal isn’t going to make readers break the internet trying to get to your site. But I didn’t care because I got to make charts. Every now and then I get a strange notion and just have to run with it. For this article, I started thinking about how easy it would be to turn Arkham Horror into a blockbuster movie. After I was finished, that idea had evolved into one of my favorite posts of all time – and any of these movies would make bank at the box office. You’re welcome, Hollywood. When Twilight Struggle stole the number 1 spot from Agricola on Boardgamegeek I knew I was witnessing something special. I’m thankful to this day that Sci-Fi Genre (now Atomic Empire) had the game in stock that night, because this is the review I am most proud of on the site, and the one which I have received the most compliments. When December rolled around in 2010, I hadn’t initially planned to pick a game of the year, but a little twinge in my gut told me that I should. I’m glad I listened to the twinge as choosing the Dice Hate Me Game of the Year has become my favorite yearly tradition. After the first six months readership was incredibly high, so I decided to take a chance on expanding the voice and outreach. At the time, there were very few women (or couples) producing podcasts for the hobby, so Cherilyn and I bought a microphone and talked about Asian stereotypes, trying to be lighthearted while discussing real issues. 130 episodes later, The State of Games is still “on the air”. As far as games for two go, there are few more rewarding – or as venerable – as Jaipur. Jaipur is so good, in fact, that it’s still on my A-Team shelf and gets brought out regularly. The new app is just as engaging as its analog companion, and I highly recommend it. A key bit of trivia: Jaipur was the start of the famous “camel theory” wherein I posit that there are no bad games that include camels. 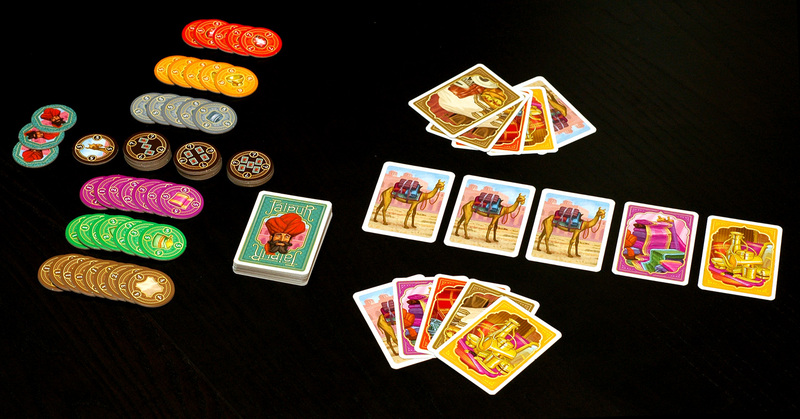 This review of Jaipur predates my first experience with Yspahan by about two months, so that’s back-to-back killer games with camels from designer Sebastien Pauchon. Almost exactly a year after talking with David MacKenzie about Kickstarter we launched our first game, Carnival, on the crowdfunding platform. The rest, as those in the know tend to say, is history. If you’re a long-time reader or listener – or you just know me in person – you’ll know I love and thrive in a social gaming environment. 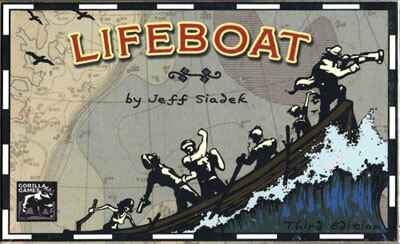 I had mentioned Lifeboat a couple of times in the past, but this was the first time I wrote in full about my love for its absolute deviousness. Many of you through the years have told me that you discovered Lifeboat through me, and probably lost a couple of friends in the process. I have no regrets. My relationship with Richard Launius’s designs began when I played the first iteration of Arkham Horror back in the late 1980s. 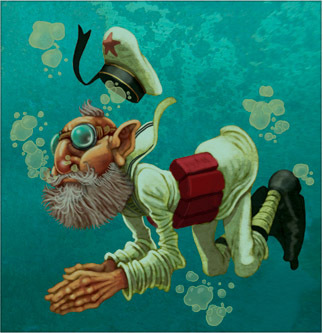 My relationship with Richard Launius, personally, began in June of 2011 at Origins Game Fair. Six years later our co-design with Darrell Louder, Fate of the Elder Gods, will be released at GenCon. If you had asked me this was possible when I wrote this review of Elder Sign I would said you had been driven as mad as Abdul Al-Hazred. Life can be funny that way. 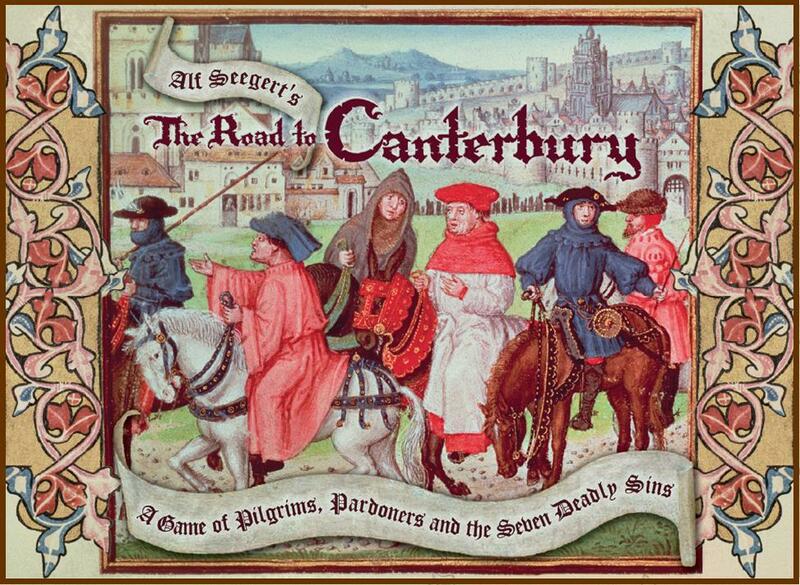 The review for Twilight Struggle may be what I consider my best, but this one for The Road to Canterbury is certainly my most humorous. I give all that credit to the designer, Alf Seegert, whose irreverent humor and design sensibilities can’t help but constantly color the surroundings. I miss Alf. 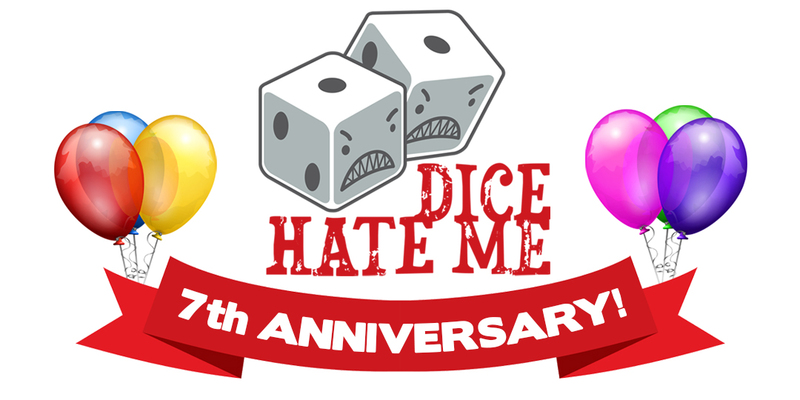 Since August of 2010, Dice Hate Me has always been on the Kickstarter beat, whether it was from interviews, previews, or just launching our next game project. 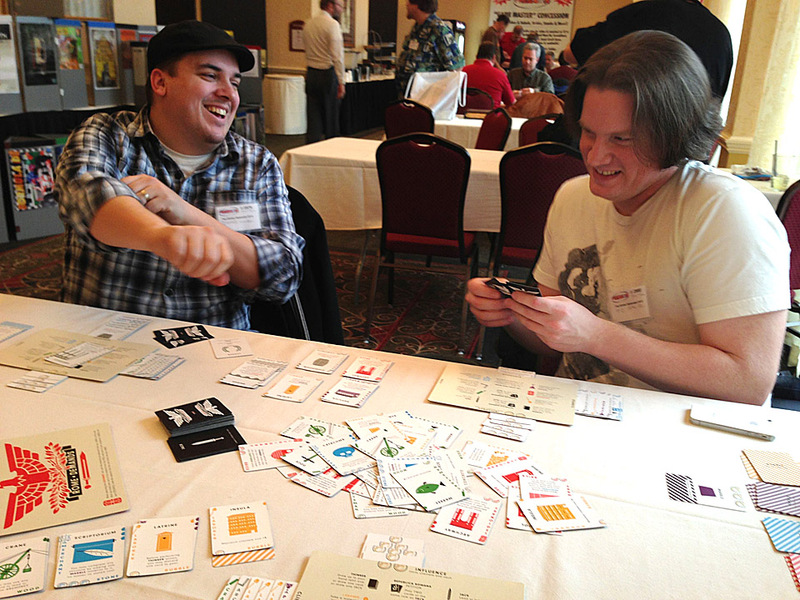 In late 2011, I started taking on more Kickstarter preview games – to mixed success. 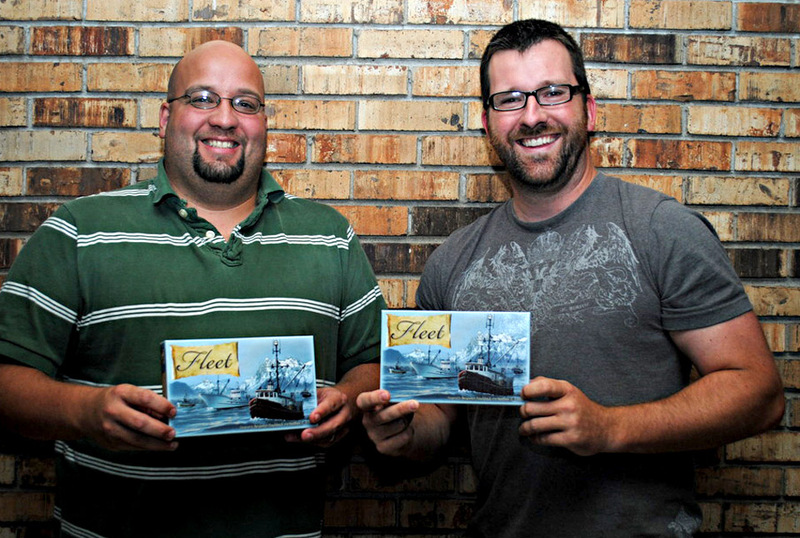 In February of that year, I got a random email from some guy named Matt Riddle, trying to peddle a game called Fleet that was coming out on Kickstarter. After thinking about it for a bit, I decided to take a chance and have him send it over. It turned out to be my Game of the Year that year, and my friendship with Matt Riddle and Ben Pinchback continues to be one of the greatest I’ve made in the industry. 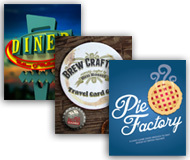 I had provided extensive pictorial coverage of Origins 2011, but this year’s Origins provided a new and different perspective – that of a publisher’s! Dice Hate Me Games had its first booth, TC Petty opened his first copy of VivaJava, Darrell Louder joined the team for the first time, and Take the Bait made its first appearance. Five years later and Take the Bait will now be back at Origins 2017! As more and more games started pouring in the door, I relied heavily on my Crowded Table features, providing mini reviews of several games in one post. It proved to be a popular format, and it’s one that I will definitely continue in the future. 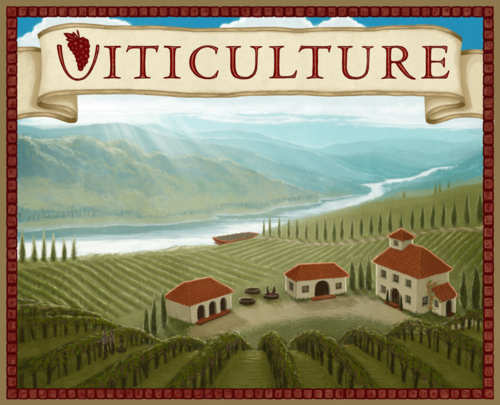 This post from October of 2012 was interesting because it included previews of two Kickstarter projects – one from the now-defunct 5th Street Games (a shame), and another – Viticulture – from a young upstart named Jamey Stegmaier. Although I attended PrezCon in 2012 with TC to promote VivaJava, it wasn’t until the next year that PrezCon became a tradition with the whole gang. This big little convention in Charlottesville, Virginia continues to be my favorite con of the year, and has introduced me to some of the best people in the hobby like Paul Owen, Keith Ferguson, and Bryan Fischer. Aside from adding my charming persona and star-like quality to several Kickstarter videos, I never really found the time to try my hand at first-person video reviews. With so many people flooding the market with videos at the time (and an infinite amount now), I never really felt it was a necessary part of the Dice Hate Me experience. 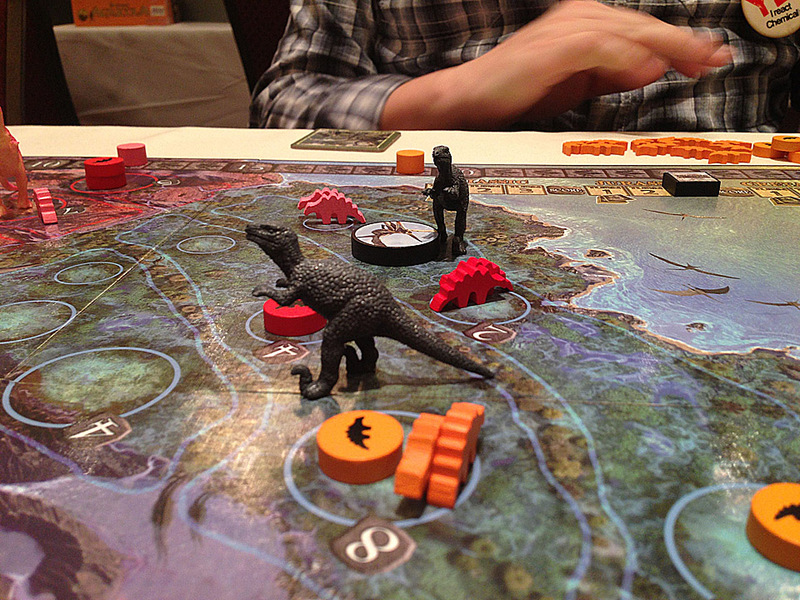 Something inside me wanted to try it out, though, so I got creative one weekend and explained what was cool about this game from down under about dinosaurs. Things slowed down considerably on Dice Hate Me in 2014 as my attention was needed more in making sure that all the Dice Hate Me Games projects in the production queue were taken care of. I was able to find some time for a couple of behind-the-scenes posts, however, starting with this closer look at design processes from Matthew O’Malley, Ben Rosset, and Bryan Fischer. Early in 2014 I started noticing a lot of buzz around a Polish game company called Portal, especially in regards to its understated, but nonetheless enthusiastic head, Ignacy Trzewiczek. 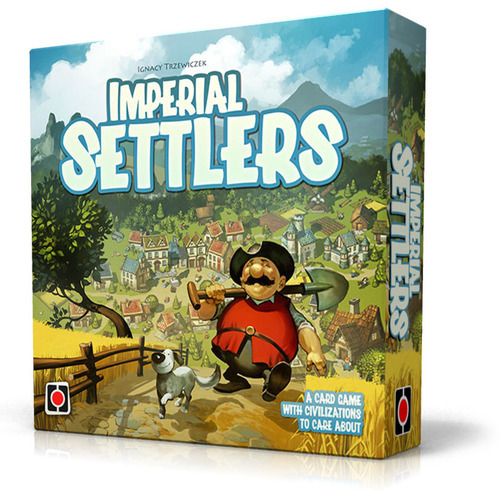 After seeing the art and concept behind the upcoming Imperial Settlers I needed to know more. I figured so did all of you, dear readers. Managing a game company – especially when you’re just one person – can be an exhausting and, sometimes, exasperating experience. Honestly, there were times in late 2014 when I wondered if I wanted to continue on with Dice Hate Me or Dice Hate Me Games. But, in the end, I realized that I was doing what I truly loved and refocused my energies. Thankfully, I now had help from everyone at Greater Than Games. Dice Hate Me is still here, amazingly. This look back on many of the worthwhile things that have come about through this blog has been an awesome experience for me. I hope you’ve all enjoyed it, dear readers. And I truly hope you continue to come back to share even more incredible experiences in the weeks, months, and years ahead. Thanks for providing great and entertaining journalistic coverage of the hobby these past seven years. You and your crew do it well. 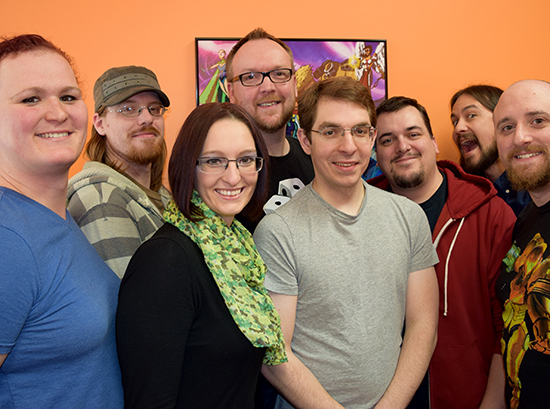 I’m glad to see your enthusiasm and passion for board gaming has re-energized you to add more content to the site. My only complaint is that after all these years I still haven’t had the pleasure to game with you at BGG.CON. I guess you could say I’ve been Joraku’d! Let’s remedy that in the years ahead. To repeat my first comment from almost seven years ago, which still holds true today, I look forward to catching more of your insightful opinions and reviews. Keep up the good work. Thanks for this great trip down memory lane! It was really interesting to see your early articles, as I only got on board this blog around 2012/2013. It was actually your review of Fleet that got me here, as I was looking around for more info on it before ordering it. 7 years!!! Congratulations! Thats about 6 years and 11 months longer than any personal site I’ve ever made has lasted. 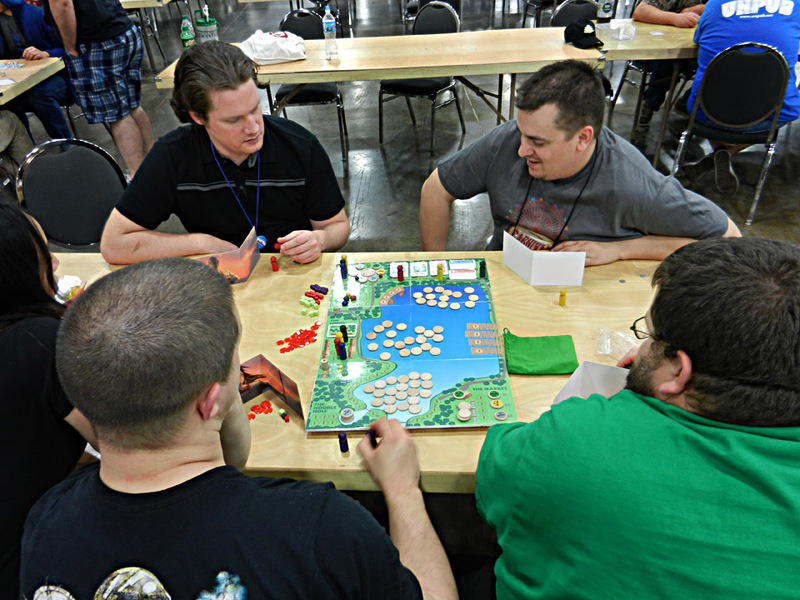 Origins 2014 was the first time we met in person and I’m super sad it didn’t get it’s own post on the blog(oh, wait, this isn’t about me). It is cool to see how you kept the content here flowing as DHMG had its ebbs and flows of business and 2014 was a doozy of a year! Keep up the good work, I always find myself taking some of the DHM GOTY off my shelf more than some other games. I look forward to posting again in 7 more years or whatever milestone you want to celebrate next! Congratulations! Thanks for all the great content. I’ve been following the podcast from the early days and happy to say that Dice Hate Me as a content creator was one of my first regularly listened to/read providers on boardgames. Happy 7 years and here’s to another 7. Keep up the amazing work. Wow, 7 years! Huge congratulations, Chris! Many Pardoner-cackles and Troll-grunts of gratitude for such amazing articles, reviews, and even games of your own!